There are many songs by the name “Mary’s Lullaby,” but this particular one comes from the Children’s Primary songbook, used by the LDS Church. 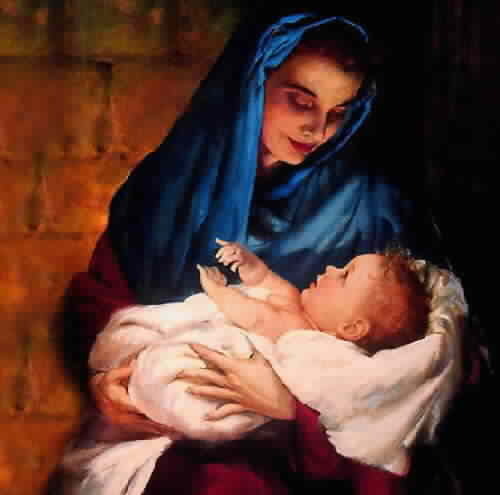 It is based on an old German folk tune, and is a simple sweet lullaby to the Christ child. The words were written by Jan Underwood Pinborough in 1989, with the music arranged by Darwin Wolford. A star reflects thy light. For peace and love are born. Wow!! I’ve loved them all so far, but this is one of my favorites since I have sung it to all of my babies, thanks!! where can i get the sheet music for this?? Hi Jennifer. 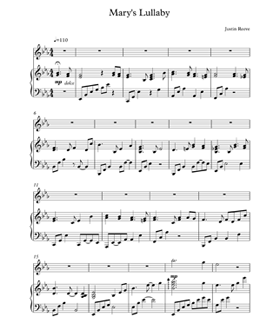 If you mean the sheet music to the original song, you can find it here: http://tinyurl.com/maryslullabysheetmusic I haven’t put together any sheet music for my version yet, but I plan to in the future. It is a year later since someone else asked. . .any sheet music for your version yet? I know I said I’d try and get to it, but I still haven’t had a chance to do any sheet music. It’s on my to-do list, though! Besides “Mary’s Lullaby,” are there any other songs in particular you’d like to see transcribed? There is FINALLY sheet music for this now, with separate piano and flute parts. I know it’s probably too late for any Christmas performances this year, but I hope you guys enjoy it! Next PostNext #17: What Child Is This?